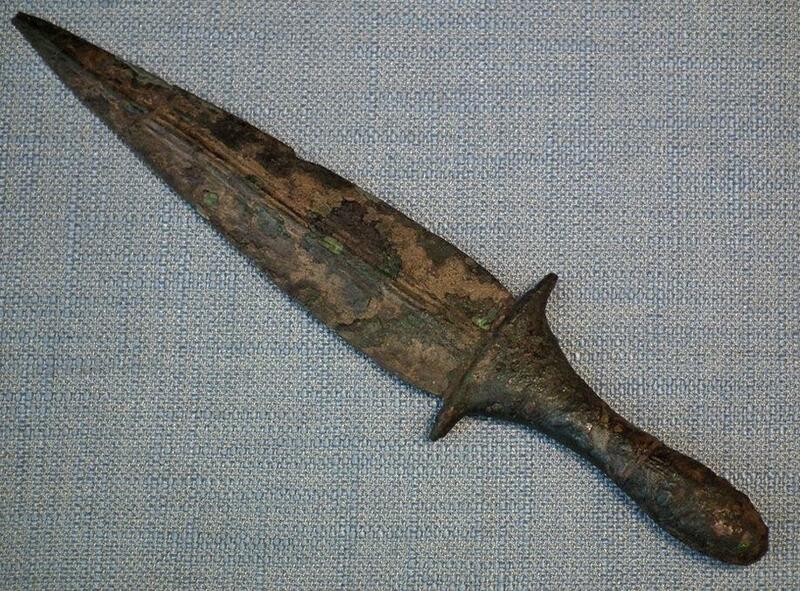 Ancient Luristan Bronze Dagger Sword Bronze Age circa 2600-2350 B.C. 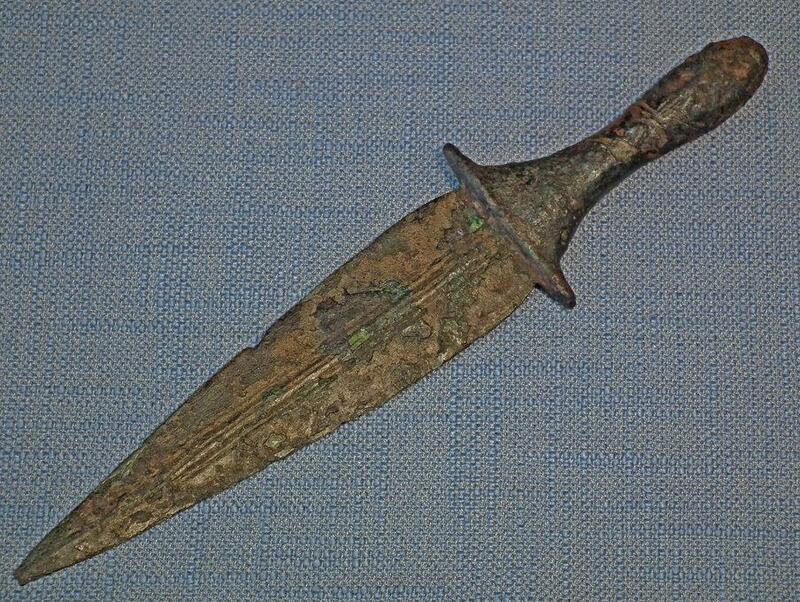 Ancient luristan Ur type bronze dagger Early Bronze Age circa 2600-2350 B.C. 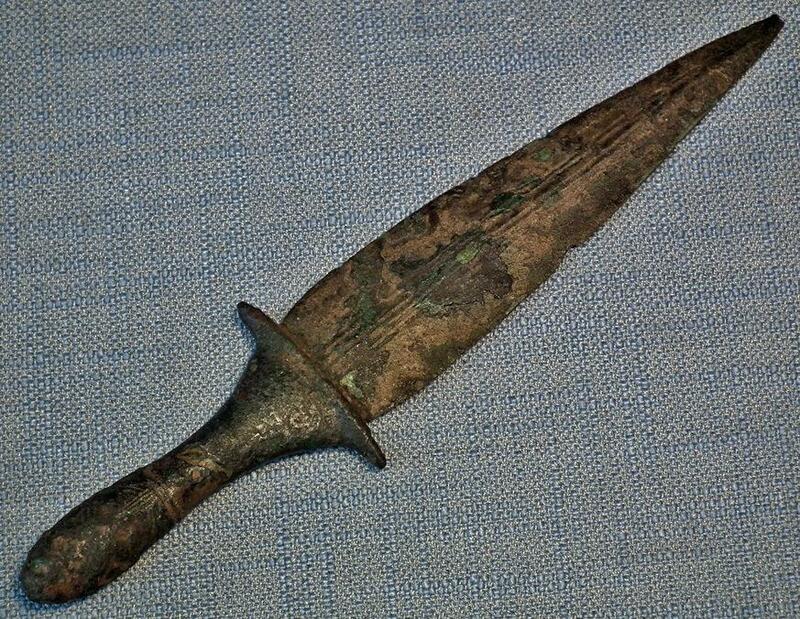 with short broad blade od leaf shape with incised central groves, the rounded hilt with gently curved guard and ovoid pommel, decorated in relief with dots and incised zigzags, and pierced with hole for rivet. 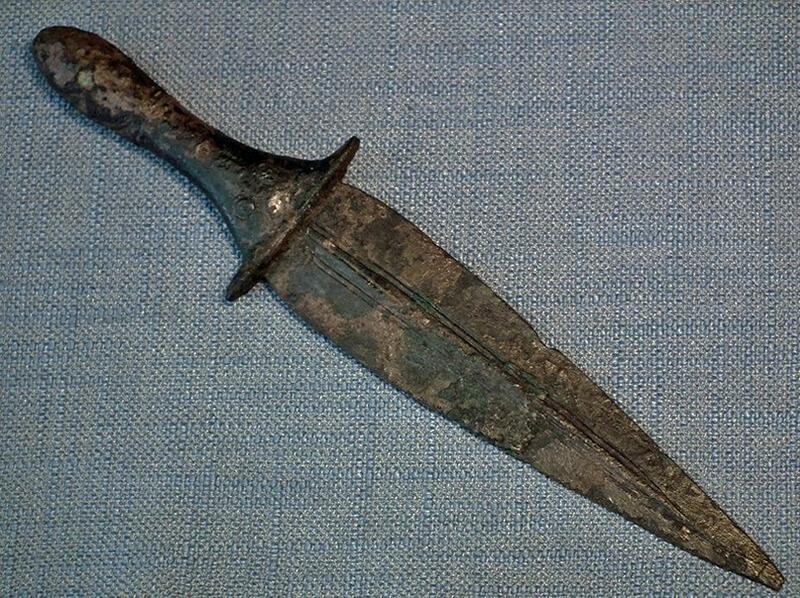 This particular form dagger is virtually identical of the Sumerian Early Dynastic gold dagger to finds in the Royal Tombs of Ur (The grave-goods), and dates to 2600 – 2300 BC. CONDITION: In very good condition considering its age, well preserved with beautiful green patina showing its age and usage. We will also provide the buyer with photocopies of the pages from the mentioned references together with a certificate of authenticity.